Bicycle Diary of Billy Taylor (age 15). Gran Fondo Hincapie... next stop Revolution Series! Back from South Carolina where I did the Gran Fondo Hincapie, it’s a fun ride event format with a great course whether we were going up a hill or on the flat bits. I managed to finish the 80 mile ride in around five hours and twenty minutes. I didn’t break any records, but I came to have a good time, and I did. I rode with friends, and I managed to stop at every rest stop and sample the food. I had a great day. Since I’ve been back in New York, my focus has been training for the Revolution Series in the UK. I’m really excited to be going overseas in a couple of weeks to compete in this amazing racing series. The first race is in London on November 25th. I’ve been preparing by doing a lot of indoor training sessions to help get my leg speed up which is important when you are riding junior gears. This past weekend I trained at T-Town… we had a Star Track team training session lead by our Coach, Gil (Gibby) Hatton. I love working with Coach Gil. He really gets me, and he always pushes me to be the best I can be. The first event I’ll be racing during the Revolutions will be the Madison, which isn’t a race I do too often so I’ve been practicing with my training partner and friend Justin Butsavage. Justin’s a few years older than me, but he is great to train with, and I am learning a lot of great tips about Madison racing from him. For the revolutions, I’m paired with an English guy Billy Lazenby… they’ve paired the two Billy’s together. We haven’t met yet or raced together so hopefully Billy and I get a chance to practice before the first race. Til then I have a ton of training to log, and not enough time… Stay tuned for more insight into my final preparations for the London Revolutions! Bicycle Diaries: A day in the life of Billy Taylor. Star Track is proud to share a new day in the life of series, a diary of sorts via the perspective of our Star Track riders and their adventures as junior racers. Enjoy and tune in for our new day in the life of series, "Bicycle Diaries". This is the Bicycle Diary of Billy Taylor (age 15). I just got back from USAC Talent ID camp which was held at the Olympic Training Center in Colorado Springs, CO. I was there for five days with around 20 other riders in my age group. It was a great experience. All of the riders got along really well, and we learned a lot. The food at the Olympic Training Center was awesome and I now have a good reason to work hard to get back there, unlimited good food. The camp was at a pretty high altitude so it made it harder to breath but overall I had some good rides, I was happy with my training and it was a great experience. I came back on Sunday, then on Tuesday I drove with my family to South Carolina to ride at the Hincapie Gran Fondo. I am doing the 80 mile Gran Fondo this Saturday. Today I got to go on a recon of part of the course with a great group of riders. Besides George Hincapie, there were at least three other former professional riders. Christian Van de Velde, Erik Zabel, and Bobby Julich. It was a great ride in the hills of South Carolina. We rode around 55 miles today. This is really great training for me because recently I was lucky enough to be selected to ride at the Revolution Series in the UK over the next few months. The Revolution Series is a three part track racing series that takes place in London, Glasgow, and Manchester. A lot of great professional track riders race there and i'm very proud to say that I will be in the “Future Stars” Group. The events will be televised on Eurosport TV, but I think they use the Future Star races to run the commercials, so you probably can’t see me race... but I'm still really excited. My Teammates Dominic Suozzi and Joe Christiansen will be racing with the pros so I am lucky to share this amazing experience with them. Hope you enjoyed my stories and adventures, i'll check back in soon and let you know how the Fondo went. Star Track Junior challenge & New York State junior track championships! 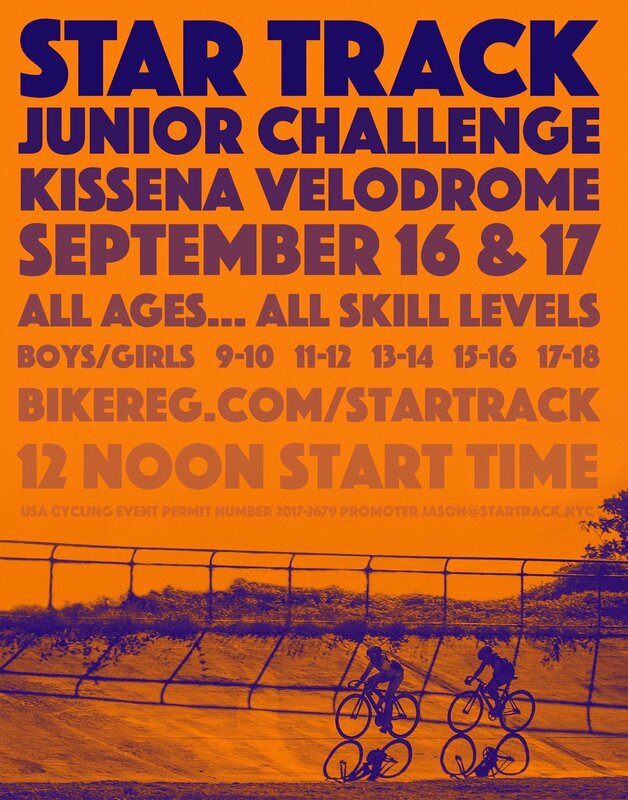 Join us on September 16th and 17th for the Star Track Junior Challenge at the Kissena velodrome. All ages & all skill levels welcome... we invite all USA Cycling junior racers to attend, one day license's are also available. Note: For New York State residents this is a NYS championship event! Note: if you're competing for the state championship you must hold an annual license and be a NYS resident. Many thanks to New York State Bicycle Racing Association for their support... State Champions jerseys and medals will be awarded! See you all September 16th & 17th! Sponsor highlight... The Center for Spine Care + Mobility. A little while back the Star Track elite team had the great opportunity to visit the Center for Spine Care + Mobility located in downtown Manhattan. Our riders met with the staff of chiropractors, physical therapists, massage therapists, acupuncturists, medical staff and were treated to the full CSC+M treatment to gain achieve recovery and rehabilitation techniques for optimal performance. These are types of analysis especially valuable to cyclists, which tend to over use the quadriceps muscle group, and under utilize the gluteal muscle group. This imbalance can wreak havoc on the hips and lower back pain… sound familiar? Post analysis, the CSC+M staff went to work and performed massage, physical therapy, chiropractic techniques and “Active Release Techniques” (ART) an athletes dream come true. ART is an innovative soft tissue treatment used commonly with athletes which helps restore balance to your muscular system and aids in recovery… it worked wonders. Thank you Dr. Anselmi and the Staff at CSC+M… your help and physical therapy helped us prepare in full force for track nationals! We look forward to visiting soon for some much needed post season recovery therapy. To book an appointment at CSC+M head over to their website cscmgroup.com or call 212-475-8104. A solid way to end track nationals... congrats guys on an incredible week of racing. 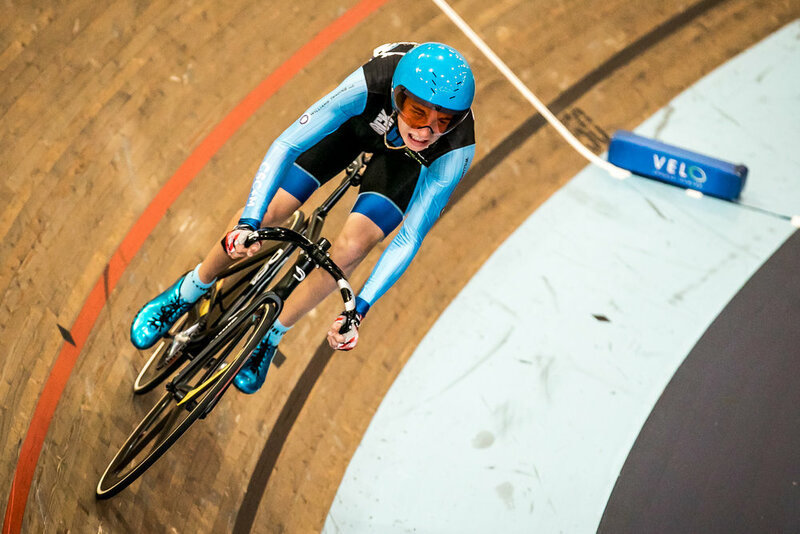 Joe Christiansen scores Silver in the Elite Match Sprints at US track nationals! Congratulations to Joe Christiansen for his Silver medal ride in the USA Cycling Elite track national championship match sprint event.